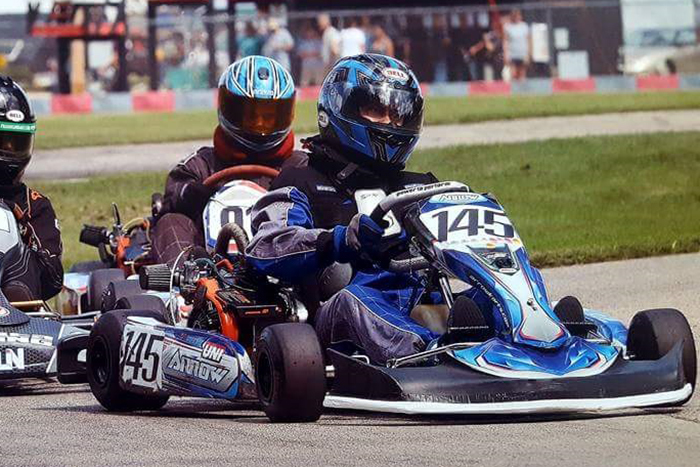 Not only does the #OperationGrassroots movement bring back former karters, it helps to introduce the sport to new people. Jakab Nyiri falls into the category of a new karter. Nyiri came to the United States from Budapest, Hungary 13 year ago and was an avid BMX racer. He later got involved in building and racing cars until the expense became too much. That led to their first trip to the Concept Haulers Motor Speedway three years ago for his first karting experience. From there, he was hooked. Nyiri’s surfing on the internet led him to CKT in St. Charles, Illinois in search of a used kart. There he found a used Arrow kart and began racing. At first, he tried out the Yamaha KT-100 engine however he moved over to the Briggs 206 engine. 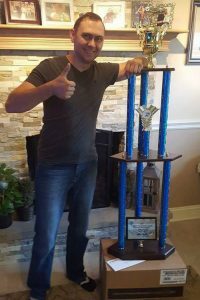 That year, Jakab contested the Badger Kart Club championship program at the Wolf Paving Raceway in Dousman, Wisconsin. Nyiri won the season championship, however, the program averaged less than five drivers per weekend. 2017 saw a strong growth in the Briggs 206 Senior division, boosting to over 10 per race with 17 drivers as its highest count. Jakab performed extremely well, placing inside the top-five in 13 of the 14 races, earning three wins and five runner-up results to secure a second-straight championship.